Please Note: This article series was written in 2012 and is here for legacy purposes only; our current focus is on the very affordable BroadLink® hub that can learn RF and IR codes, giving direct control over each blind motor, skylight/window opener, and other devices. It does not require any external interfaces. Our radio equipped motors use RF (Radio Frequency) for transmission of the remote control signal from a hand-held or wall mounted remote control. These very affordable multi-channel systems are extremely easy to install and operate. Our new built-in rechargeable battery motors require no wires at all! With the RFXCOM™ transmiter plug-in for Vera™, you can later extend control of your window blind radio motors to your web enabled devices (PC, phone, tablet, etc). VeraLite at $199 is the bargain of the year when it comes to full blown home automation systems - and the most user-friendly. Our non-radio motors require an external controller and are most often used with home automation systems, using our Universal Interface. These systems are complex wired systems, more expensive and require some technical know how. "I got both motors up and running within a few minutes and the RFXCOM setup and running with my Vera 2 today. Works great and very simple to setup and work with. Thanks so much for the help and support - your guidance and your great products have filled the last gap for me in terms of home automation at a fair price." In order to further support and extend our radio motors, we deliberated and studied the market for a number of years before we chose Vera as our premium home automation controller, and there is a long list of reasons why we think it is the very best choice for complete home automation. 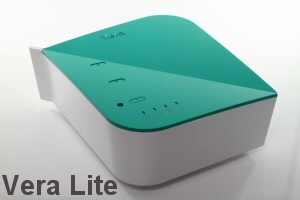 Vera and VeraLite are powerful home automation controllers that run as a web server on your local lan and/or wifi network. They can be used simply as local controllers, but they can also be accessed remotely from any location via browser using a secure encrypted system. You can easily monitor and control your home whether you are on the premises or away, and look after the boat down at the dock, that summer cottage at the lake, or that ski chalet in the mountains. You can have the system send email alerts, based on events that you structure yourself with very easy to use wizards. Unlike many PC based systems, you do not need a dedicated 'always on' computer or laptop, but you can use our USB transceiver with other systems like Raspberry Pi, Homeseer, Indigo (Mac) or Event Ghost, if you prefer. The Vera system is about choice, budget & flexibility: it can be operated by any web enabled device via the browser (smartphones, tablets, laptops, desktops) and any operating system (Windows®, Apple®, Linux®, B2G, Android®, Tizen®, IOS®, etc). It can also control various different device protocols, such as Z-Wave®, Insteon®, and x10®. It can be customized to support any device with the Lua scripting language, although the built-in user-friendly interface can set up 'scenes' to do almost anything. Note that the primary difference between VeraLite and Vera is that VeraLite does not have wifi built in - it plugs into an existing wifi router. 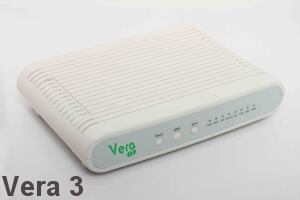 Vera has its own built-in wifi system for those that do not already have a router, but they both have the same functionality. Vera also has twice as much memory (for very large installations, over 60 devices) and some extra ports. We sincerely hope you enjoy using these advanced motor systems; if you have any questions, please feel free to contact us at any time!